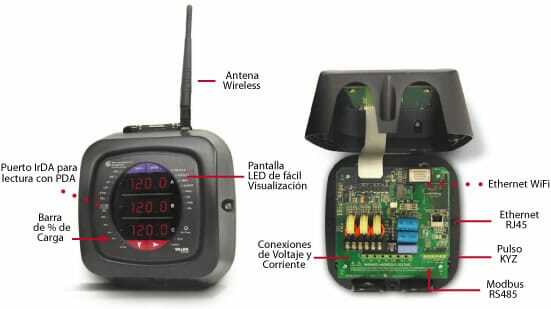 Amperis introduces the most advanced series of electrical submeters available. These high performance products measure revenue grade electrical energy usage and communicate back information using RS485, RJ45 Ethernet or IEEE 802.11 WiFi Ethernet connections. Place a unit anywhere within a facility and it can communicate back to central software quickly and automatically. The units use standard 5 or 1 amp CTs (either split or donut). They surface mount to any wall and are easily programmed in minutes. The Shark® 100-S/200-S submeters are equipped with EIG's exclusive V-Switch™ technology, a virtual firmware-based switch that allows you to enable meter features through communication, even after installation. Using V-Switch™ keys, you can purchase what you require now and field upgrade functionality as needed. This allows you to optimize your metering investment. Begin with a simple energy billing submeter and upgrade it to a full functioning energy billing meter with power quality and alarm measurements. V33 (200-S only) – Volts, Amps, kW, kVAR, PF, kVA, Freq. kWh, kVAh, kVARh, 2 Megabytes Datalogging memory and Limit Exceeded Alarms. Note: The Shark® 200-S submeter does not have an upgrade for harmonic measurements. 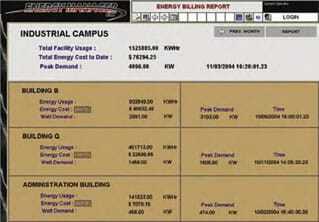 Using Amperis' E-Billing EXT™ software, you can track energy usage data to provide utility bills for usage and demand. You can also customize rate structures and aggregate multiple meters for billing. 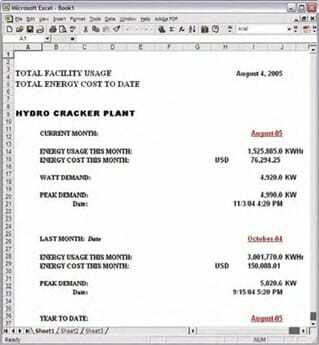 E-Billing EXT™ produces bills utilizing either Energy Manager HMI logging or from data stored in Shark® 200-S logs. For simple bill generation we highly recommend using the Shark® 200-S submeter with internal logging. To be certified for revenue metering, power providers and utility companies need to know that the billing energy meter will perform to its stated accuracy. To verify the meter's performance and calibration, power providers use field test standards to insure that the unit's energy measurements are correct. Since the Shark® 100-S/200-S submeters are traceable revenue meters, they contain a utility grade test pulse allowing power providers to verify and confirm that the meters are performing to their rated accuracy. This is an essential feature required of all billing grade meters. The Shark® 100-S/200-S submeters provide user-configured Block Window or Rolling Window Demand. This allows you to set up a particular utility demand profile. Block Window Demand is demand used over a fixed user-configured demand period (usually 5, 15 or 30 minutes). Rolling Window Demand is a fixed window demand that moves for a user specified sub-interval period. An example is a 15-minute demand using 3 subintervals, providing a new demand reading every 5 minutes based on the last 15 minutes. Readings for kW, kVAR, kVA and PF are calculated using utility demand structures. Other parameters offer max and min capability over the user-selectable averaging period. 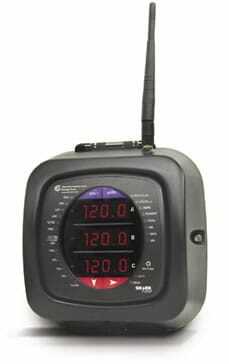 Voltage provides a non-rolling instantaneous max and min reading, displaying the highest surge and lowest sag seen by the meter. Standard communication includes an RS485 output speaking Modbus protocol. This allows the unit to be connected to any serial RS485 bus using the Modbus interface. 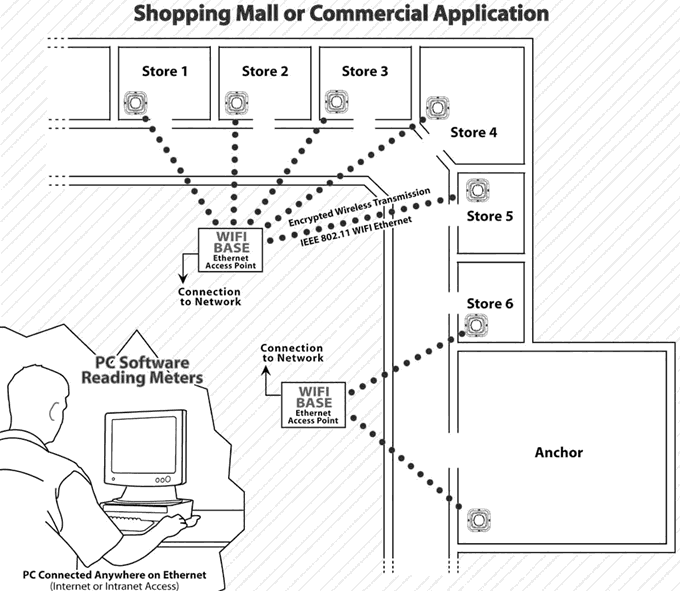 The unit communicates easily with most building automation or other software systems. Baud rates are up to 57.6K baud to provide fast update times. The unit offers two Ethernet options — either an RJ45 or WiFi connection. The WiFi option allows the 100-S/200-S submeter to be used on standard WiFi base stations. The unit is assigned an IP address; it communicates Modbus protocol over Ethernet TCP/IP. Use an IrDA-equipped laptop PC to program and read the Shark® 100-S/200-S submeter. For applications in which a pulse is needed, the unit also provides a KYZ output which pulses proportional to the amount of energy consumed. This feature is used for pulse counting applications or for building management systems where serial or Ethernet protocol is not available. The Shark® 200-S submeter has 2 Megabytes of Flash memory that give it extensive datalogging capability. The 200-S offers three Historical logs, a Limits (Alarm) log, and a System Events log. The unit has a real-time clock that allows for time-stamping of all the data in the instrument when log events are created. Each of the three historical logs can be programmed with unique parameters consisting of any measured reading. Up to 64 parameters can be recorded per log.